ITHACA, NY—Looking visibly uncomfortable, Barnes & Noble customer Paul Gannon, 36, confirmed Saturday that a group of teenagers sitting against, and hovering around, the Graphic Novels area was preventing him from perusing the section. 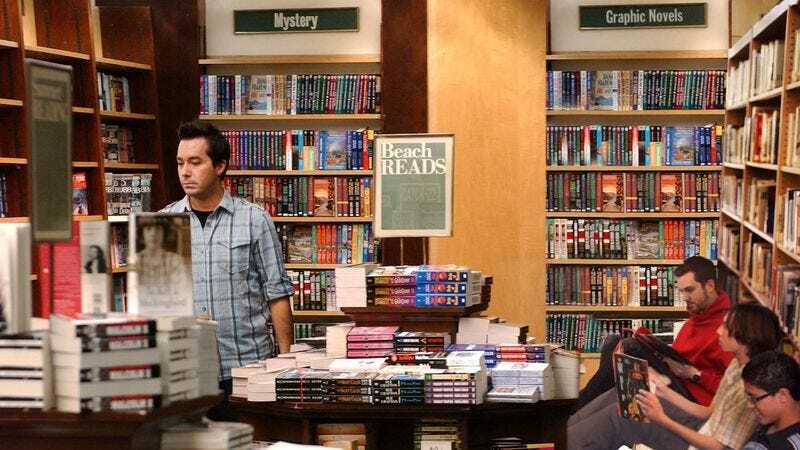 “I really don’t want to go over there,” said Gannon, adding that he would prefer to avoid asking the lip-pierced, teenage girl with a ski cap covering her dyed-red hair if she would please move her backpack so he could browse the shelves. “I’ll just pretend to browse the Business and Money section until they leave.” At press time, Gannon had decided to exit the bookstore, saying that he could just order volume two of Alan Moore’s Swamp Thing collection on Amazon.